Short Bags - Drumbeat Short Bag - Tarot Bags, Tarot Cards, Cloths, & More! Repeating geometrics shapes dance across this bag resembling the strong, iconic images often used in Native American artwork. 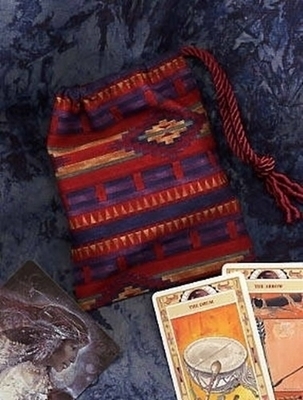 This bag will make a wonderful home for any deck with a native, tribal, or shamanic theme. 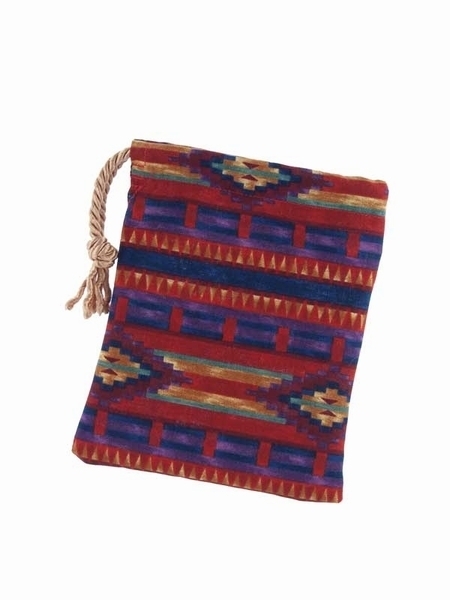 Other uses might include storage for divination stones or sticks, money pouch, medicine pouch, or shamans bag. Pictured Below: Our Drumbeats Short Bag is shown below with cards from two decks; on the bottom right are Native American Spirituality Oracle Cards by Laura Tuan and Massimo Rotundo and on the bottom left, the Goddess Knowledge Cards by Susan Seddon Boulet and Michael Babcock.